Compared to modern humans, Neanderthals were stockier, with shorter legs and bigger bodies. In conformance with Bergmann's rule, as well as Allen's rule, this was likely was an adaptation to preserve heat in cold climates. 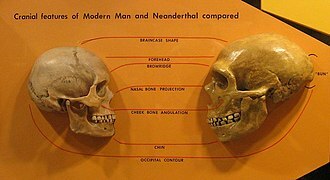 Male and female Neanderthals had cranial capacities averaging 1,600 cm3 (98 cu in) and 1,300 cm3 (79 cu in), respectively, within the range of the values for anatomically modern humans. Average males stood around 164 to 168 cm (65 to 66 in) and females 152 to 156 cm (60 to 61 in) tall. 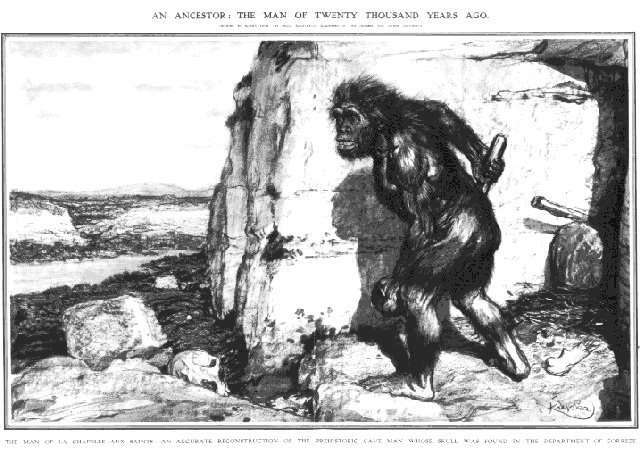 Ever since the discovery of the Neanderthal fossils, expert opinion has been divided as to whether Neanderthals should be considered a separate species (Homo neanderthalensis) or a subspecies (Homo sapiens neanderthalensis) relative to modern humans.Pääbo (2014) described such "taxonomic wars" as unresolveable in principle, "since there is no definition of species perfectly describing the case." 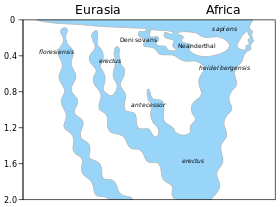 The question depends on the definition of Homo sapiens as a chronospecies, which has also been in flux throughout the 20th century. 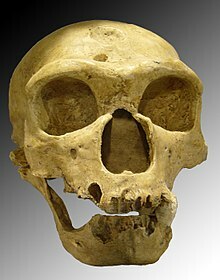 Authorities preferring classification of Neanderthals as subspecies have introduced the subspecies name Homo sapiens sapiens for the anatomically modern Cro-Magnon population which lived in Europe at the same time as Neanderthals, while authorities preferring classification as separate species use Homo sapiens as equivalent to "anatomically modern humans".